Happy 4th of July week! Hope you all have some fun plans for the holiday week that includes some sun, water, fireworks, bbq, family and friends! We’ll be spending the day with family doing those exact things and I can’t wait to get a good tan going on this belly of mine. Also, I cannot believe I’m having a baby next month!! 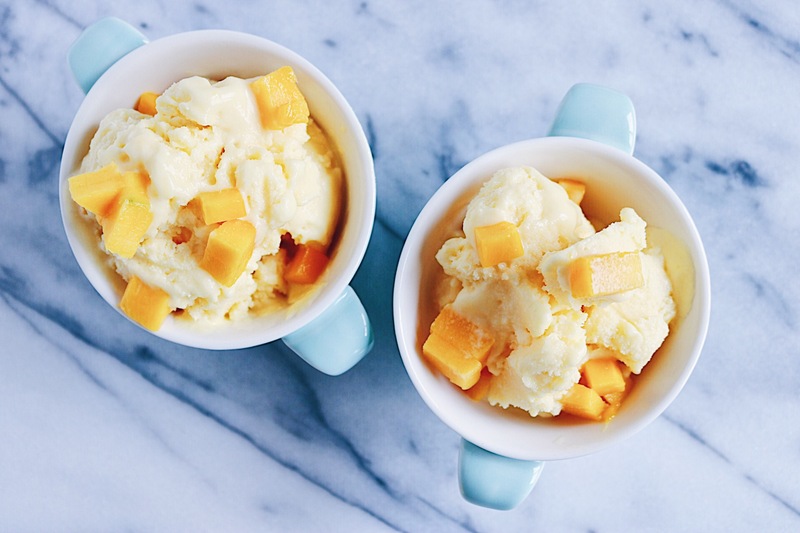 An easy recipe for sweet and tart Coconut Mango frozen yogurt. 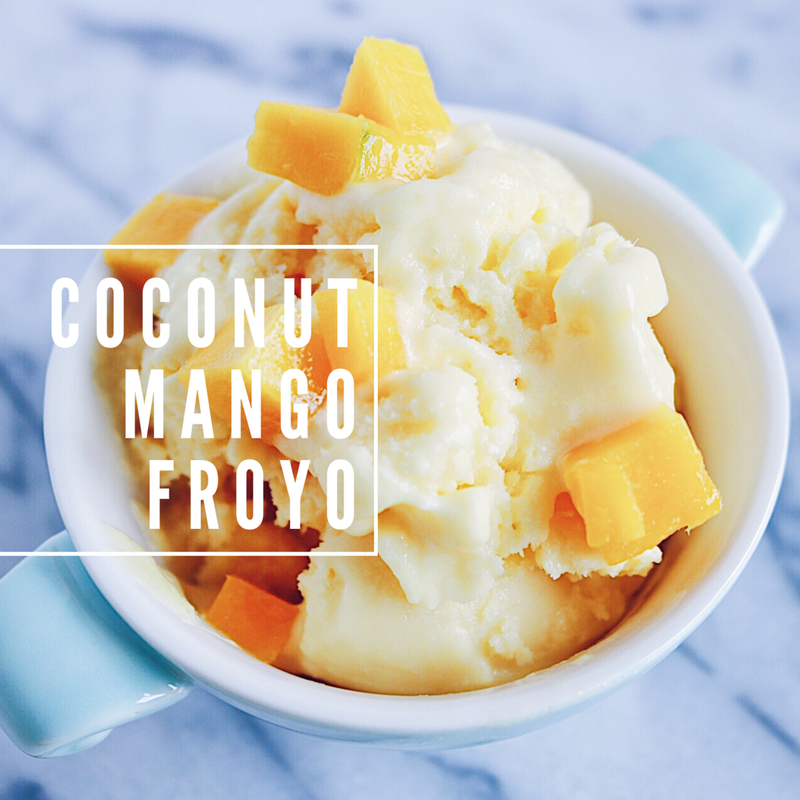 In a high powered blender or food processor, add all ingredients and blend together on high. Stop to redistribute fruit and continue blending until the mixture is smooth and puréed together. 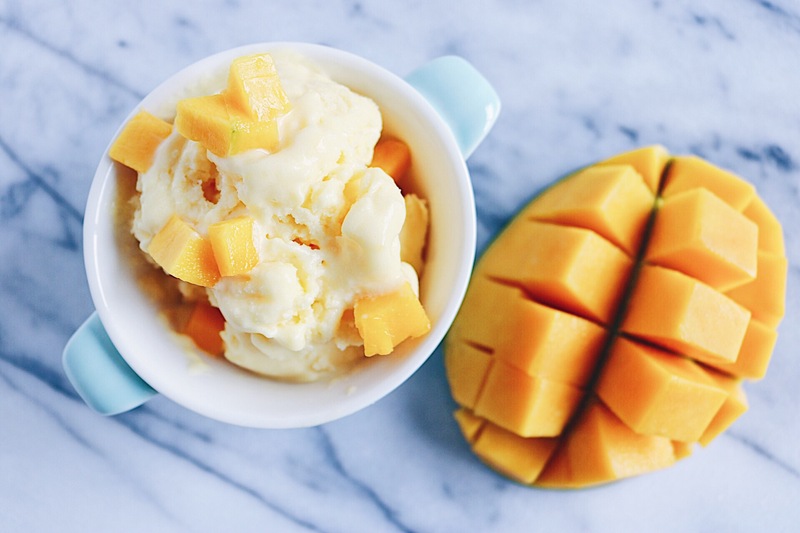 Top with or stir in fresh cut up mango for serving. 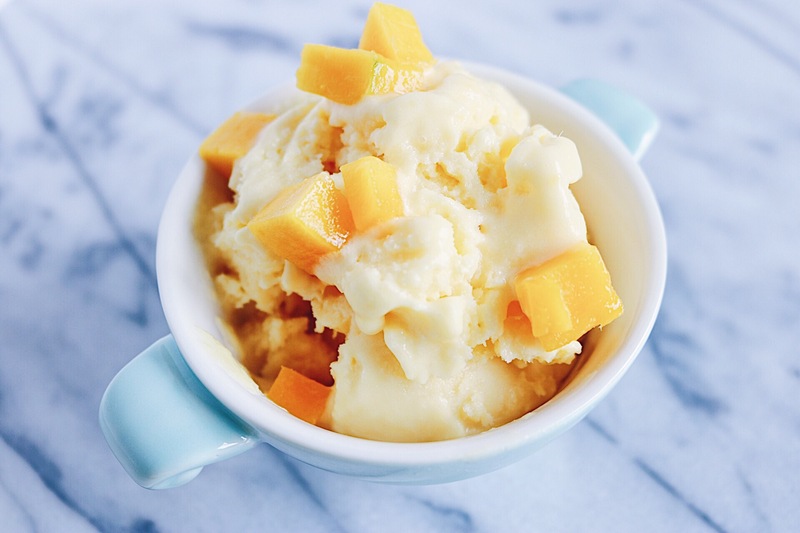 Serve immediately or freeze until you reach desired texture. 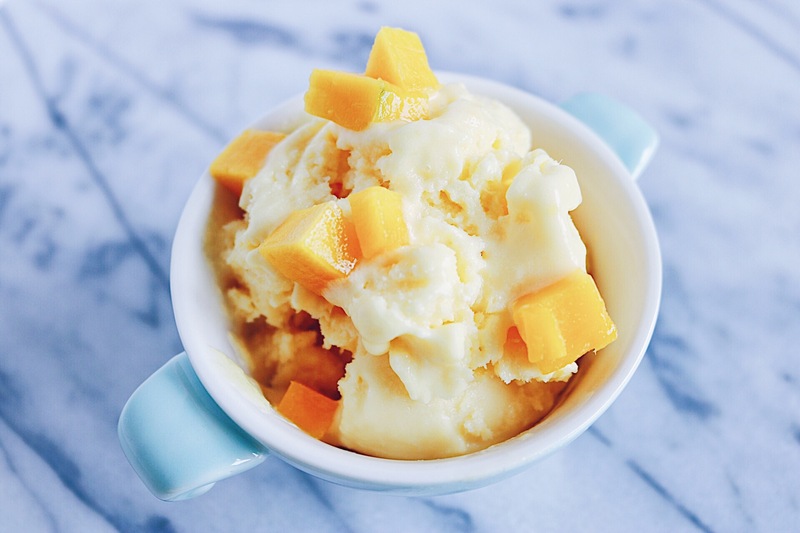 very nice, it’s looking yummy.